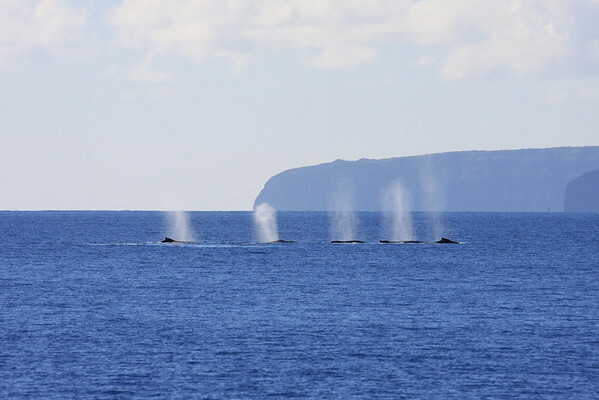 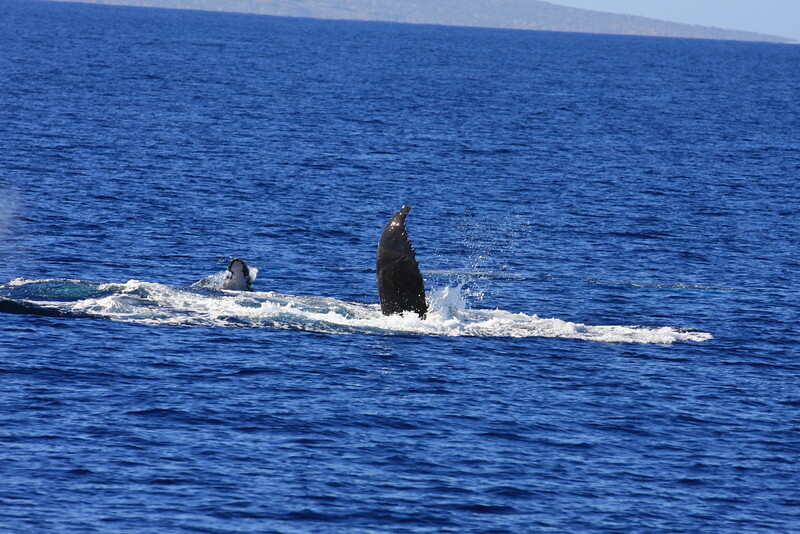 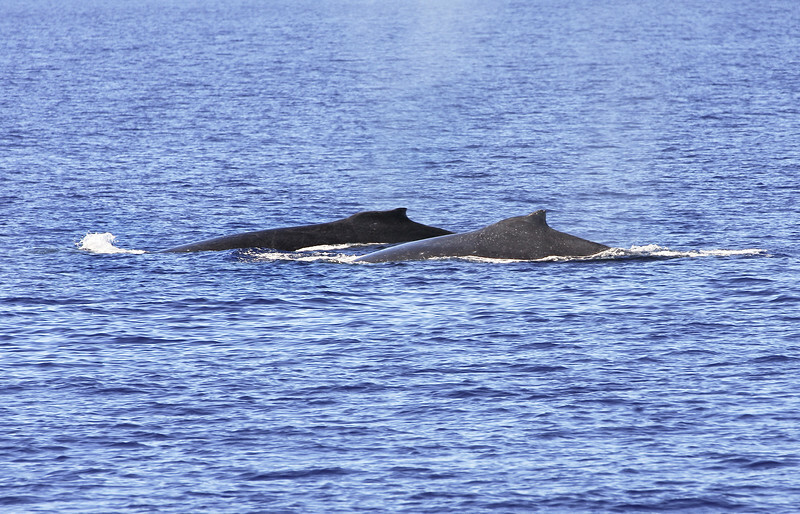 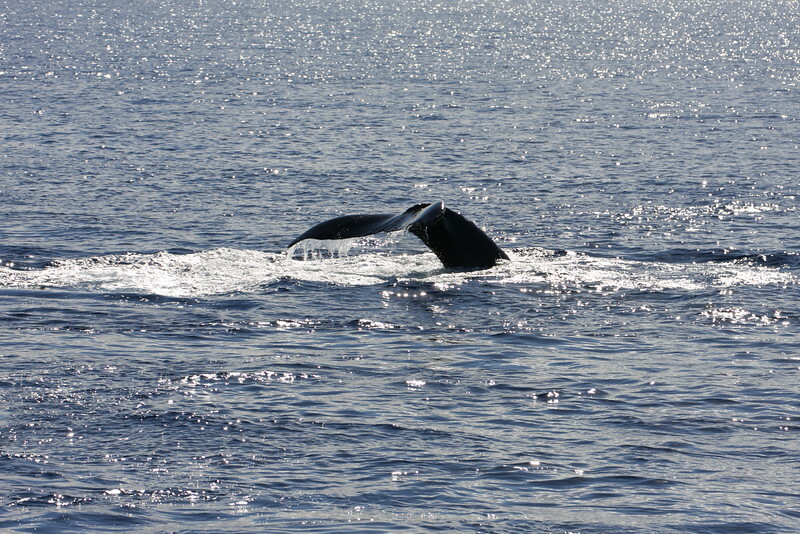 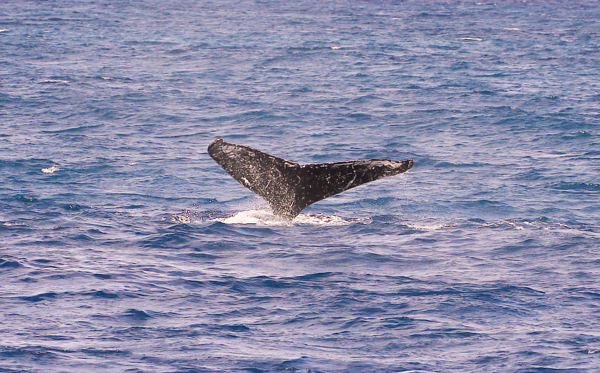 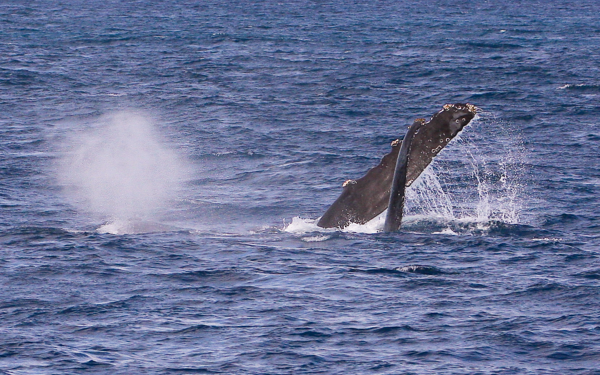 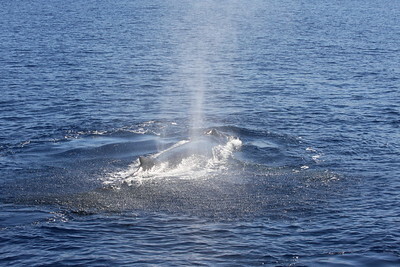 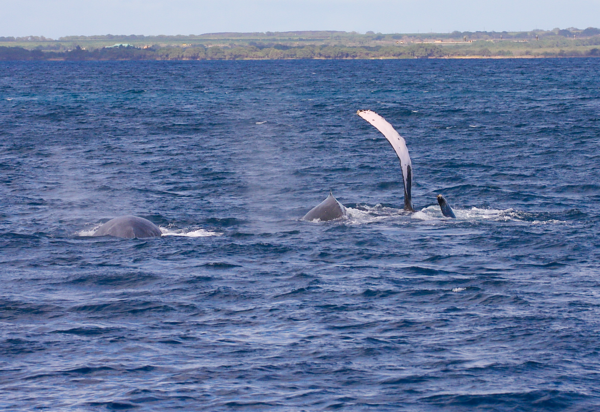 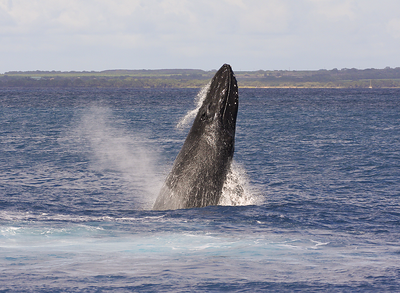 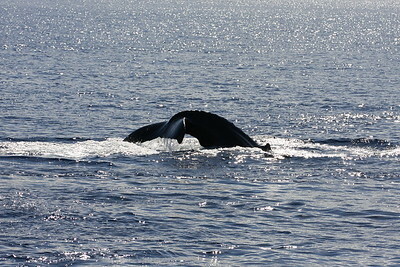 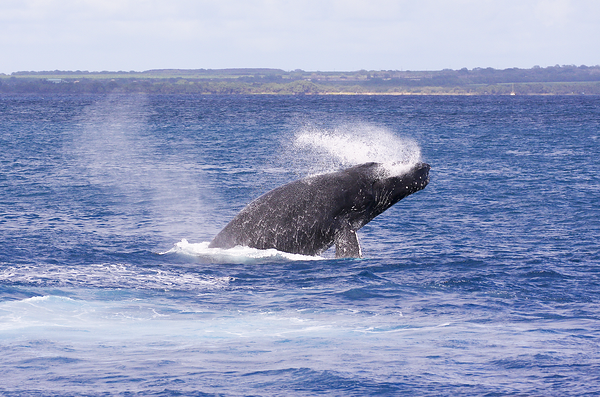 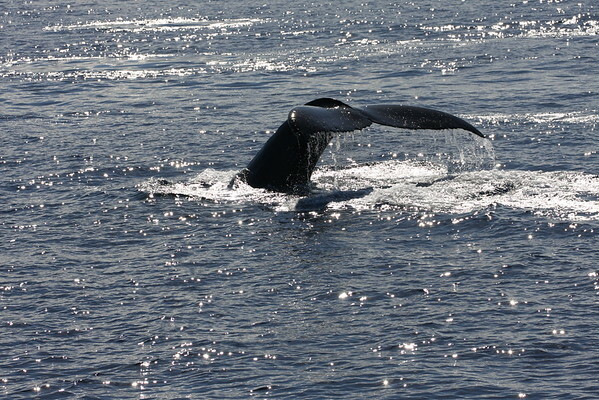 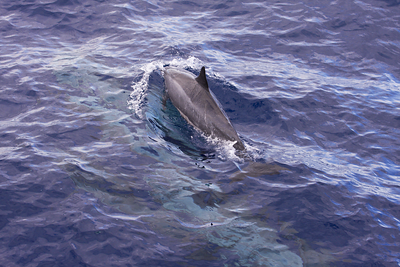 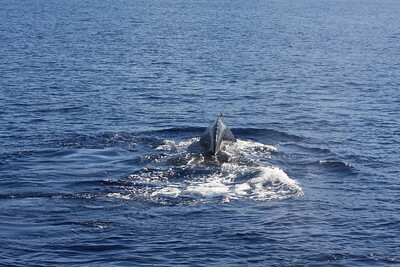 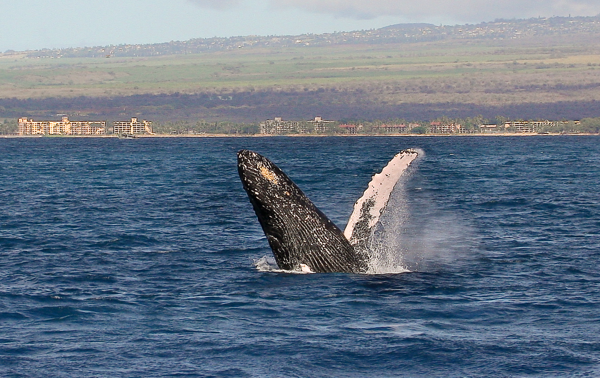 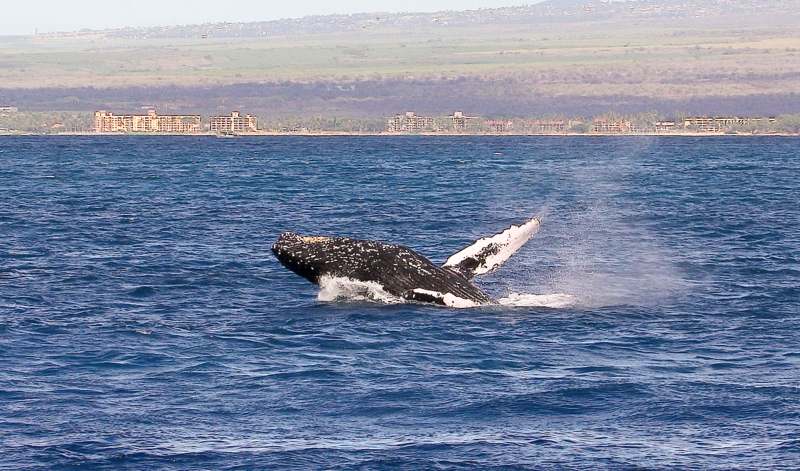 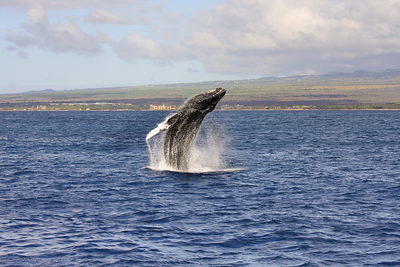 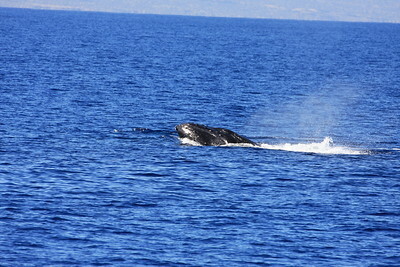 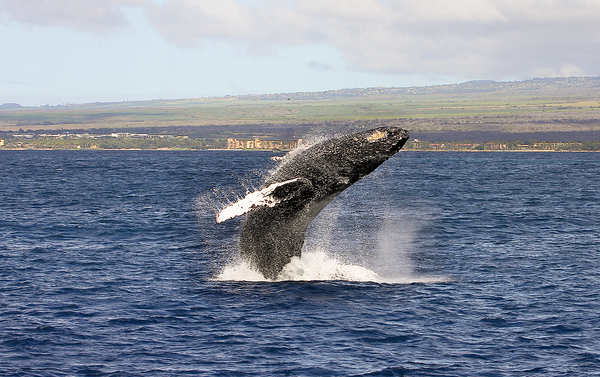 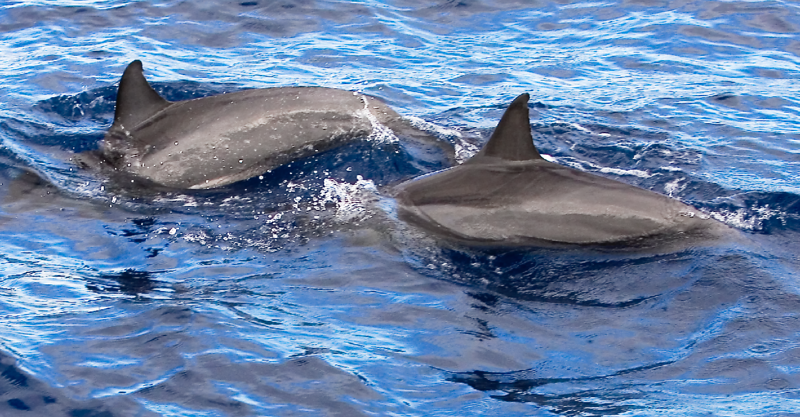 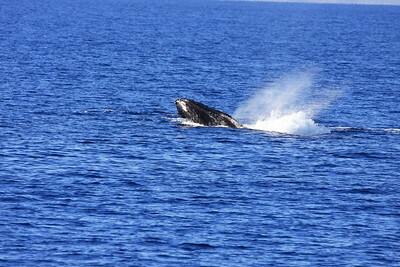 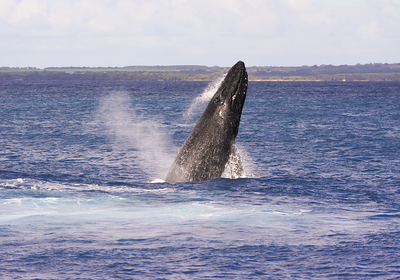 This member of a four-whale competition pod performed several repetitive breaches. 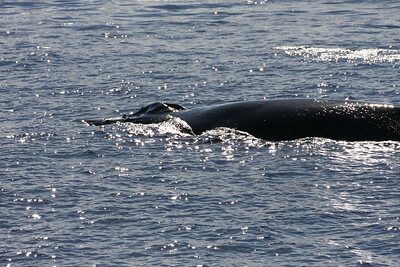 Note the many bump-like tubercles located on the upper and lower jaws. 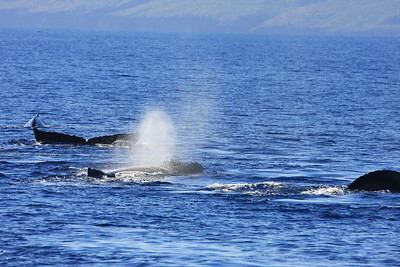 The "blowhole" (AKA "nares", actually TWO holes) is also visible atop the rostrum.